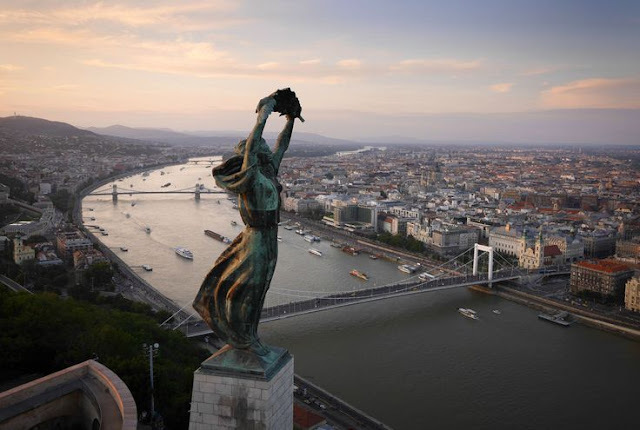 Budapest is considered to be the capital and the largest city of Hungary. Budapest is separated by the Danube; making it has a Buda and a Pest side. 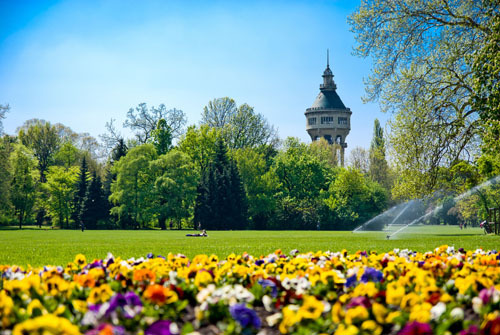 Buda is considered to be the more older/historical side, while Pest is moderner with its architecture. Both sides are worthwhile to visit; as both are unique for their own forms of touristic sites. Budai Castle (Budai Var)- The castle was originally built in 1265. The entire castle area is well known for its Medieval/ Baroque houses and churches. If you plan to visit, the trip would be good enough for the whole day. The reason being is that you have the choice of either walking up the hill yourself or take a moving contrapment. The contrapment, known as Sikló, carries the people up the hill. 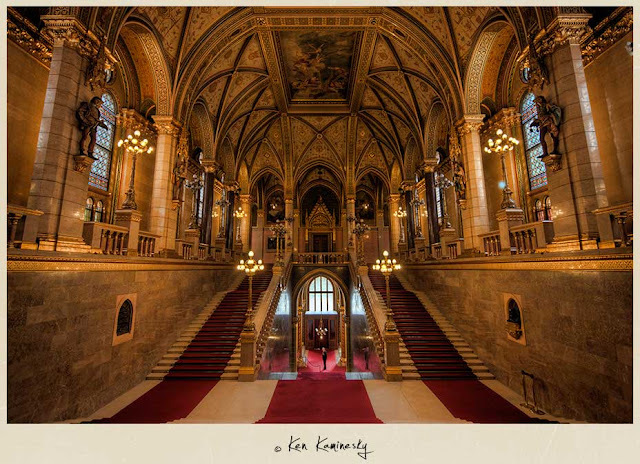 There are also tours that are given inside the castle itself. The entrance fee is about 10 EURO or about 15 dollars. Matyas Church (Matyas Templom) & Fisherman's Bastion (Halászbastya)- The two sites are right next to each other. The Matyas Church is a Roman Catholic Church that was constructed in a Gothic style in 14th century. (Fun Fact: My grandfather worked on the roof of the building, when they remodeled it). The Church is open to all visitors. 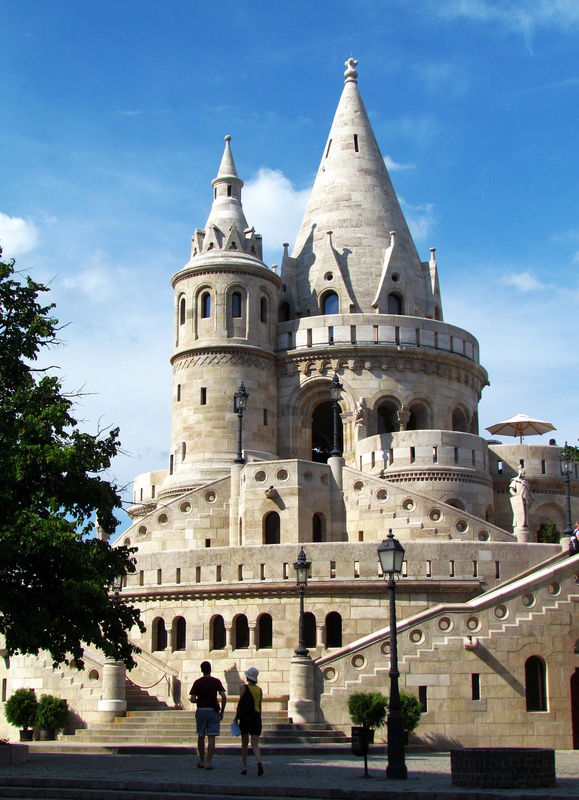 On the other hand, the Fisherman's Bastion is a neo-Gothic terrace built between 1895 and 1902. The seven towers represent the seven Hungarian tribes that settled in the Carpathian Basin in 896. 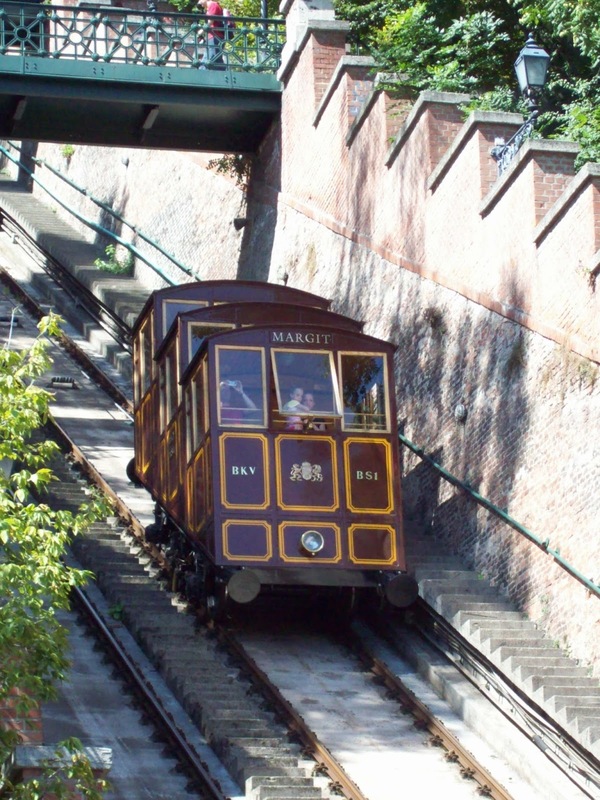 Gellért Hill (Gellért Hegy)- The hill was named after St. Gellért, who was noted for being thrown to his death from the top. The walk up the hill can take about 1hour and 30 minutes. Sounds a lot but its totally worth it! From the top, you can get an amazing view of the entire city. Also, you can get a close glimpse of Hungary's statue of liberty. Margit Isand (Margit Sziget)- The island is located just off the coast of Buda. It is a span of 2.5 km. The entire island is constructed as a park to walk around at your leisure. 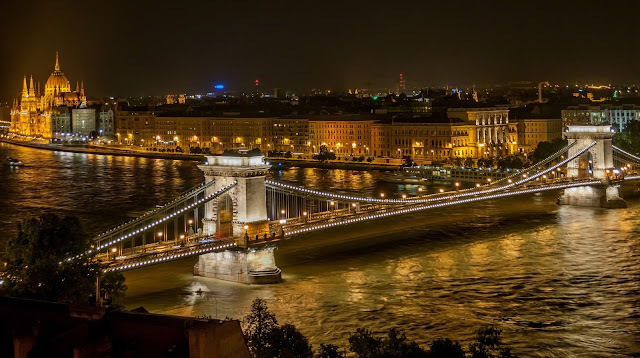 Lanc/Margit/Erzsebet/ Szabadsag/Arpád Bridge- All these bridges are well noted across the Danube in Budapest for its beauty and history. For example, the Lanc Bridge has a famous legend that the designer of the bridge committed suicide because he forgot to add a tongue to the two lion statues on the end of the bridge. To this day, the lions are missing tongues. 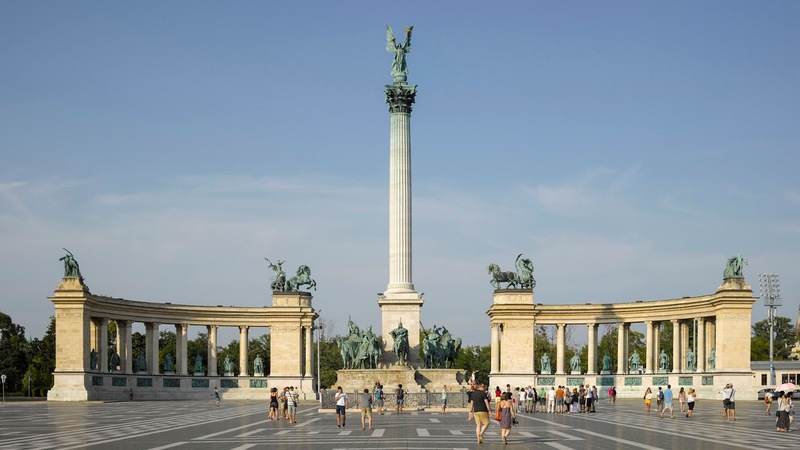 Heroes Square (Hosok Tere)- is one of the major squares in the country. It is most well known for having the seven Hungarian chieftains as statues around the square. 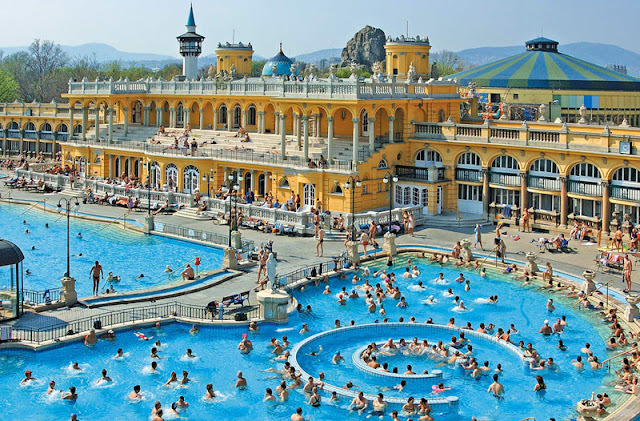 Széchenyi Bath (Szechenyi Furdo)- Like I mentioned in my previous article, Hungary is well known for its thermal water supply. The Bath was opened in 1913. It is most famously known to be the largest thermal bath in Europe. The entrance fee is about 1,700 Ft. That is equivalent to 6 dollars. 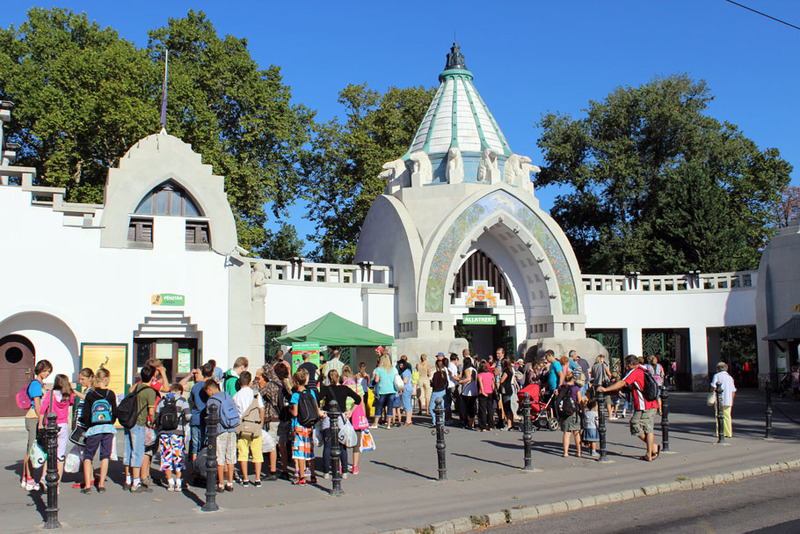 Allatkert (Zoo)- The zoo, found in Pest, is considered to be the largest in the country. There are ups and downsides to my theory. The zoo is a lot smaller than the Bronx Zoo. Therefore, you can see much more animals. However, that means the animals don't have as much space to roam around. The entrance fee is about 2,500 Ft. That is equivalent to about 9 dollars. Terror Museum (Terror Háza Múzeum)- The current day museum is in the place of the former Nazi and Soviet headquarters. The museum focuses upon the terror and fear placed upon Hungarian citizens in order for them to oblige to both forms of government. 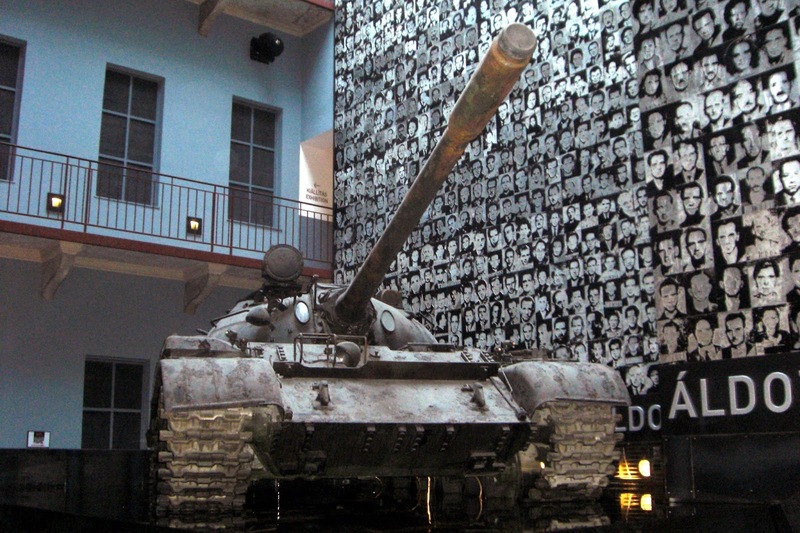 The museum consists of photos, old relics, prisons and torture chambers. The entrance fee is about 1,800 Ft. That is equivalent to about 8 dollars. 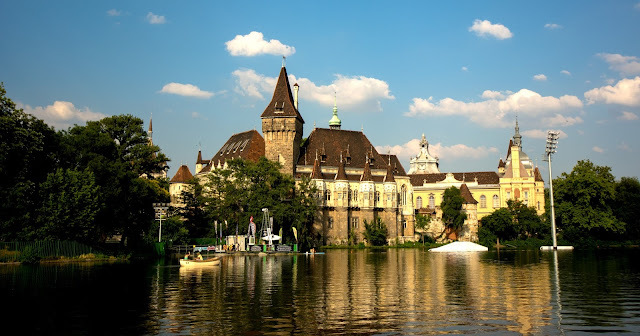 Vajdahunyad Castle (Var)- The castle was only constructed in 1896 in order to commemorate the 1,000 year anniversary of the Hungarian Conquest of the Carpathian Basin. The castle was built by Ignác Alpár to include several designs from other castles around the country. The castle is open for all visitors. 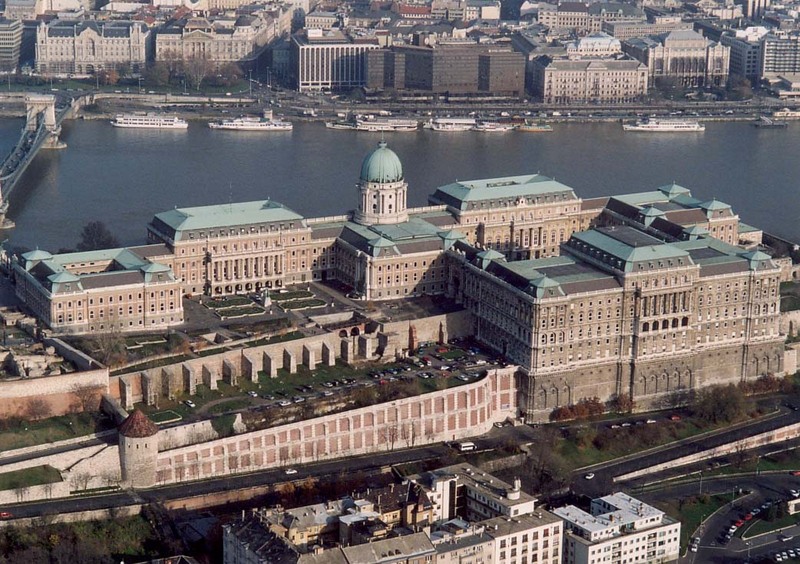 Parliament (Orszagház)- is the place where the National Assembly of Hungary meet. The Parliament is available for visitors. However, it is important that you book in advance because a guide is required. The ticket price for non EU citizens is 5,400 FT. That is equivalent to about 20 dollars. I want to thank you for reading my articles on the adventures of Hungary. I hope that you will be visiting soon. It is a place with great history and culture.